Home / Blog / Shiprocket / How To Reduce Shipping Costs With Shiprocket? 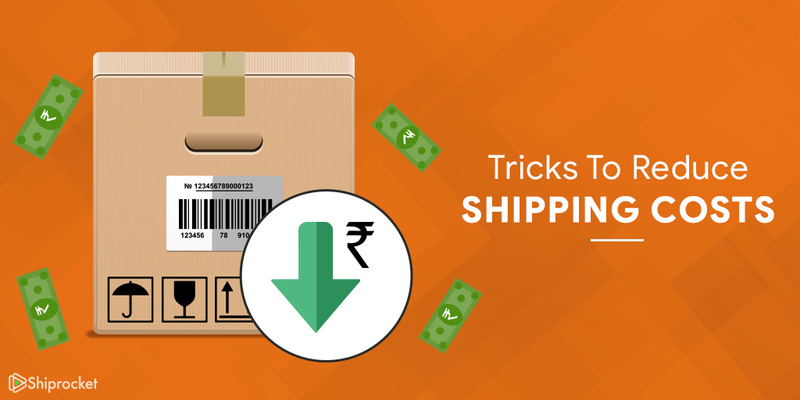 How To Reduce Shipping Costs With Shiprocket? With the ever-increasing and unforgiving competition in the e-commerce business, there is certainly a huge tiff among them to provide the best shopping experience to its users. Today, users have a large number of options to choose for a single product. This makes it extremely necessary for any e-commerce business to offer something unique and monetarily beneficial for the users. Among many factors that are responsible for a successful and profitable online business are reduce shipping costs. If you are among those online entrepreneurs who have set up their online store with all the needed elements and also offering great discounts of the product’s price, still it is unable to attract potential customers, then you need to review your shipping charges. Many times, it has been found that even after offering a 10-15% discount, the final cost is more than the MRP due to huge shipping charges. Of course, no user would want to proceed with this deal and hence, the sales conversion rate declines gradually. To maintain your sales conversion, you need an effective e-commerce shipping solution. How To Offer Reduce Shipping Costs To Clients? Do you know that 80% of shoppers choose an e-commerce website based on its shipping charges? Also, it has been found that more than 49% customers have stopped purchasing online from a certain website due to huge shipping cost. These statistics surely define the mind makeup of today’s e-commerce customers regarding the shipping charges. As a merchant, it is necessary to keep these stats in mind, especially if you are a newbie in this business. Free shipping or low-cost shipping charges surely attract more customers. Free shipping can also help you retain your customers, even if you don’t have huge discounts to offer. For free shipping, you may adjust this cost into your basic product price, but make sure that the price is competitive. If you are using a renowned courier company like FedEx, Bluedart, FirstFlight, Delhivery, Ecom Express or any other, then it is difficult to adjust the shipping charges as their price plans are huge. But, there are many e-commerce shipping solutions available that can offer low-cost shipping through these companies, then it will be an added advantage for your e-commerce business. One such solution is Shiprocket. What Shiprocket Shipping Solution Offers? Shiprocket is one of the cost-effective e-commerce tools that will help you ship your products anywhere across India in the most reasonable price plans. It is pre-integrated with eBay, Amazon, Shopify, Magento, and OpenCart. 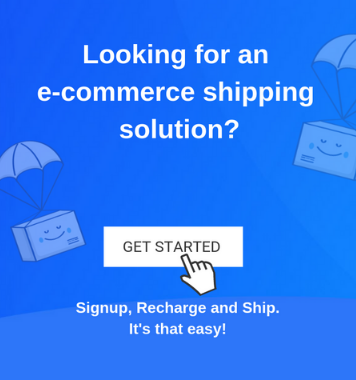 Render your shipments with Shiprocket and experience the best shipping solution for e-commerce website at affordable prices. Other than this, you can explore the following features that will help you resolve shipping troubles and retain your customer’s trust. With Shiprocket, you can create your own shipping labels for any leading courier brands. Deliver your products securely through your favorite courier company at discounted rates. Shipping through Shiprocket will render you the same discount on any number of shipments. This means whether you are shipping a single product or thousands of products, you can render the same discounts. The facility of Cash-on-delivery is available for every shipment, which will help you transform more visitors into clients. Customer and technical support to solve any of your shipping queries and information. To stand out among your competitors, you need to offer something profitable for your customers. With effective shipping solution, you can empower your small e-commerce business by offering the bulk of benefits like low or no shipping charges, secured delivery of products, customized tracking information, discounted shipping integrations and many more. This all and more can be made possible through Shiprocket.